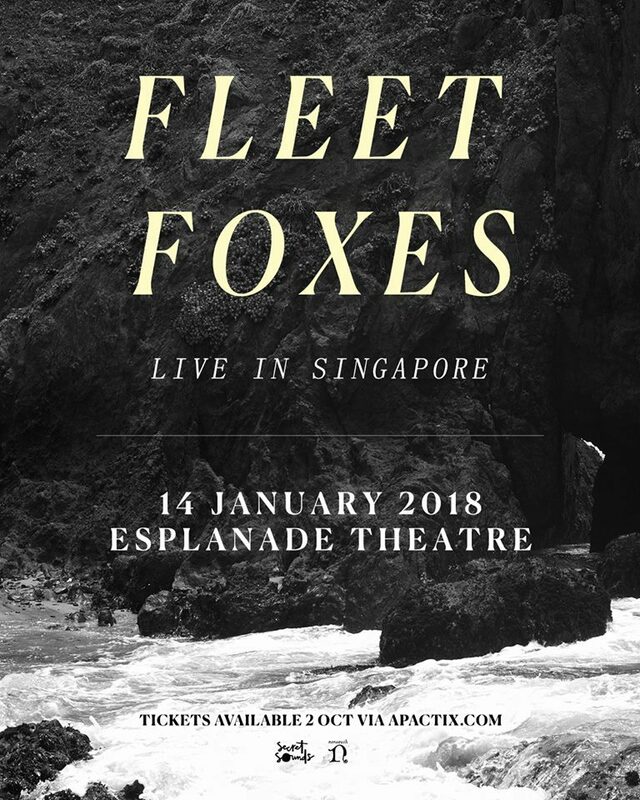 Fleet Foxes: should you watch them in Singapore or Kuala Lumpur? For the first time, indie folk group Fleet Foxes will be making their way to our side of the world. An exciting prospect, sure, and with most visits, they come with a full regional itinerary. So far, the band have only announced dates in Singapore and Kuala Lumpur, and fans are already torn between the two. We figure we'd do a little bit of the dirty work and lay out some of the pros and cons of watching the band live in either country. Here are some of the factors you can consider before tickets go on sale on October 2nd for both shows. World-class venue: The Esplanade Theatre is highly reputed around the world, with plush seats and grand interior design that would fit the band's live show perfectly. Amazing Sound: If you've seen any act perform at the venue, you can vouch for its impeccable sound — the acoustics and structure of the venue, coupled with professional live sound engineering, makes it a complete package for any concert. Convenience: With its location in the city, the venue is walking distance from various MRT stations and bus stops. Price: With a larger venue comes a larger price tag for fans — tickets for the show in Singapore range from S$88 to S$148. Seats: Any experienced concertgoer can attest to the restlessness that comes with seating through an entire concert. Standing up isn't always about dancing, but it also demands your body to pay full attention. Concert organizer Secret Sounds Asia have stated in the past that their Esplanade shows permit standing, so it's all up to the audience. Tickets will go onsale on October 2nd through APACTix. Intimacy: KL Live is one of Kuala Lumpur's premiere concert venues, hosting bands such as Foals and Godspeed You! Black Emperor over the years. While Esplanade Theatre accommodates close to 2,000 seated patrons, compared to KL Live's 900, the latter allows up to 2,500 for standing fans, allowing more to be up close with the five-piece band. Free standing: Speaking of which, we've already made our case about free standing. Cheaper tickets: Early bird tickets for the KL show are currently priced at RM190, with standard presale passes going at RM230, making it more affordable than the range of prices for the Singapore show. 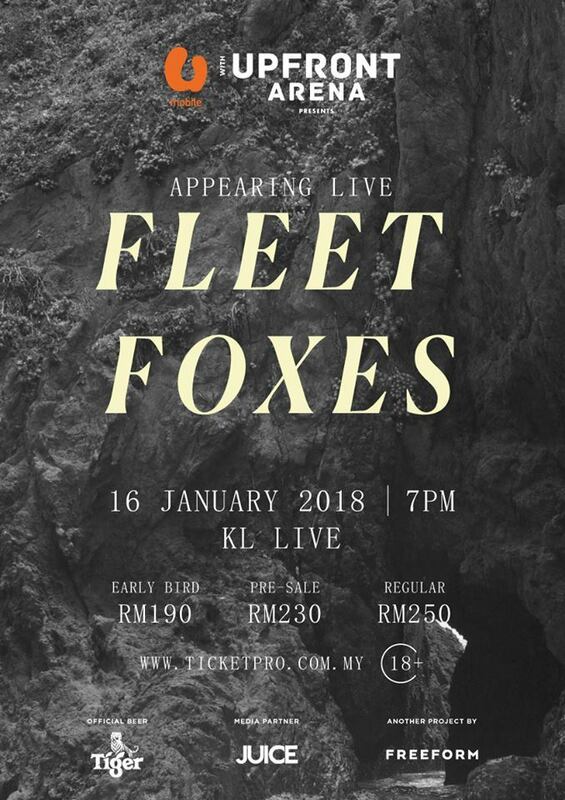 Weekday blues: Alas, unlike Singapore, the Fleet Foxes show in Kuala Lumpur is being held on a Tuesday — perfect if you're already planning a trip there, but otherwise, it'll put a dent on your leave dates. Accommodation: If you're Singaporean, you'll also need to factor in accommodation costs, especially for a place near the venue. Tickets will go onsale on October 2nd through Ticketpro.